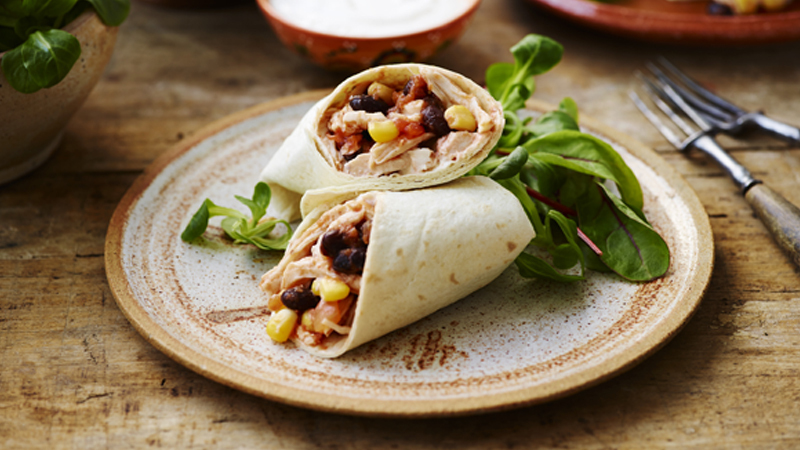 Whip up these speedy wraps in no time, with leftover chicken and store cupboard ingredients. 1. Mix the chicken, salsa, beans and sweetcorn in a medium bowl. Divide the chicken mixture between the tortillas, spooning down the centre of the tortilla, leaving the bottom quarter without mixture. Top each with the soured cream. 2. Fold the bottom quarter of the tortillas up and over the filling. Then fold the right and left sides over the folded end, overlapping. Fold remaining end down. Slice in half to serve. Make it veggie by substituting the chicken for roasted vegetables. 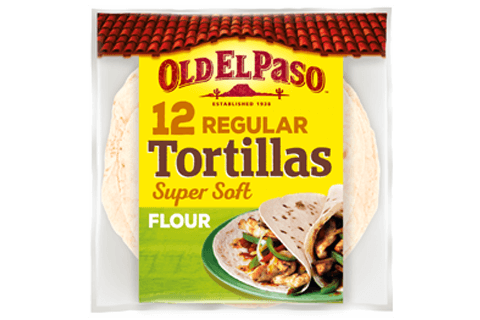 Serve with Old El Paso™ Original Nachips™ and salad for a more filling meal.